When did the Maheno crash? 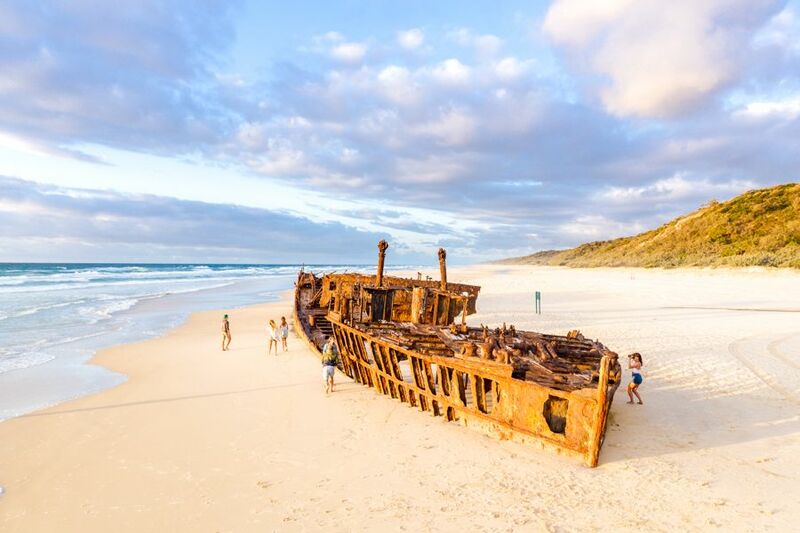 The S.S. Maheno Shipwreck is one of the many attractions that can be found on Fraser Island. Along with Eli Creek, Champagne Pools and Lake McKenzie, it is one of the top sites to visit on the island. It has been beached there since 1935. In her working days the S.S. Maheno was an ocean liner was mostly used as a passenger ferry between New Zealand to Australia from 1905 to 1935. 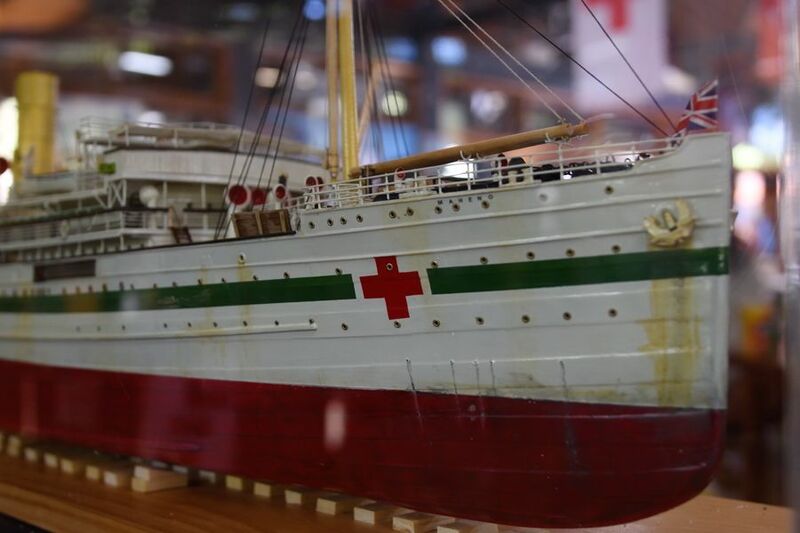 In her career she also worked as a hospital vessel during World War I, and was employed for regular routes from Auckland, Tasmania, Sydney, Melbourne and Vancouver. The beginning of her final demise began on July 3rd of 1935. At the time, the S.S. Maheno was deemed outdated and was retired from service. She departed Sydney Harbour under tow by a ship called the Oonah with 8 crew on board and Osaka Japan on the itinerary. Both ships were to make their way to their final destination where they would be scrapped. However, several days into the journey the Mahneno and the Oonah struck by a cyclone when they were about 80 kilometres offshore. The Maheno broke free of the Oonah and having been stripped of her propellers, her crew had no way to navigate the seas. She was left to the whim of the current and tides as the Oonah watched her helplessly drift away. On July 10th, 3 days following the cyclone, the boat was spotted beached on Fraser Island, by a passing airplane. Amazingly, the crew has safely made their way to shore and were awaiting rescue next to the beached vessel. The S.S. Maheno was left behind by her crew, her fate undetermined. The once luxury ocean liner was now little more than damaged goods sitting on a far away beach on a small island in the Pacific Ocean with no means of leaving. Attempts were made to refloat the damaged boat in the years after the wreck, with no success. Since she wasn't going anywhere, the Maheno was stripped and then abandoned on the shore of the island. 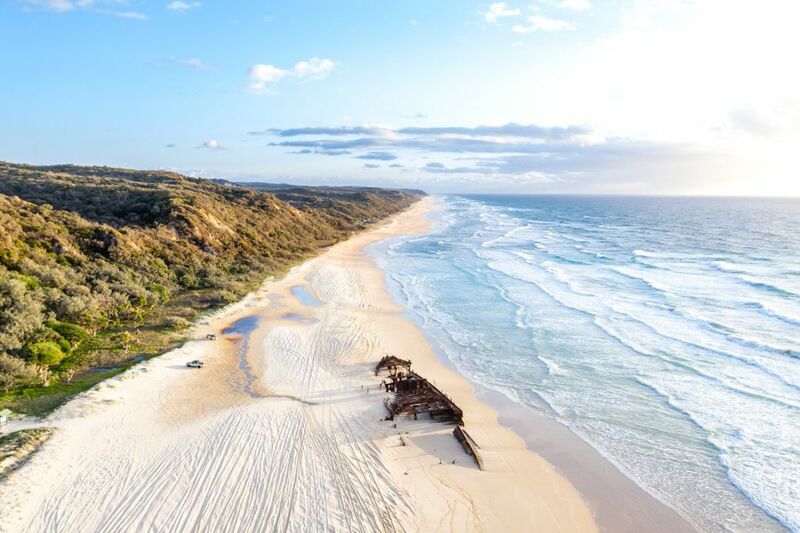 There are 7 other ships that have ran aground of were shipwrecked on Fraser Island in the past few centuries, but the S.S. Maheno is definitely the most famous and well known of the bunch. 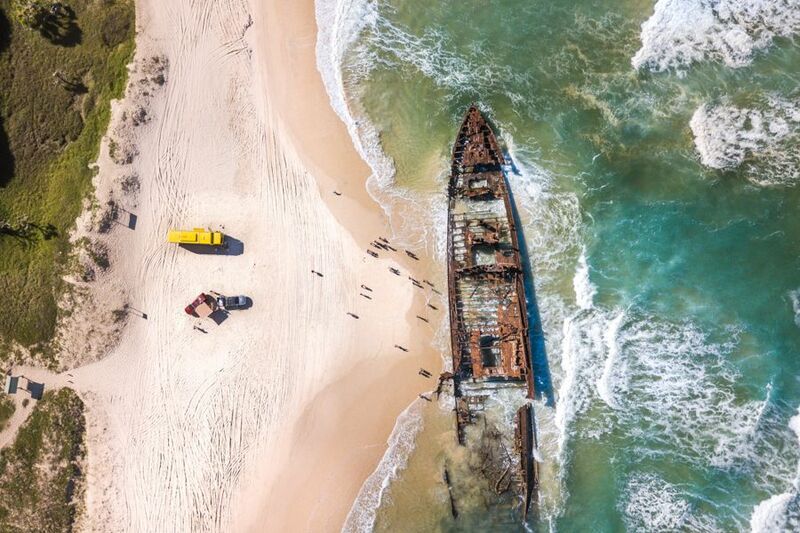 It is still visited to this day as it slowly rusts and is reclaimed by the sands.The S.S. Maheno has lived on Fraser Island since she met her fate on its shores in July 1935 and will continue to do so until she is completely swallowed up by sand. You can see the S.S. Maheno on most tours of Fraser Island.